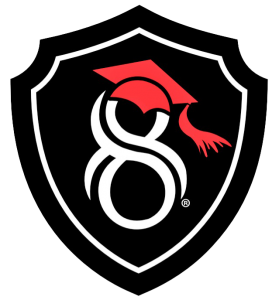 Gradu8 Promo – we supply and distribute promotional products for businesses, organizations, and schools. Whether you need your own branded products or would like to use our brand, we can supply every merchandise need you have. Every product purchased is eligible for our “Give Back Program”. Gradu8 Apparel – our branded and licensed Men’s, Women’s, and Children’s apparel inspiring completion along with an academic lifestyle. Through our trademarked Evolution of Knowledge, we celebrate all levels of completion in a cool and inclusive way. Every product purchased is eligible for our “Give Back Program”. Motivate 2 Gradu8 – our 501(c)3 non-profit organization inspiring completion of graduation while providing scholarships, bereavement resources, motivational centers, success summit, and national basketball camps during Graduation Awearness Month. JOIN US FOR GRITS & GRADS A Signature Fundraising Event September 22, 2017 • 9 AM PURCHASE TICKETS NOW!